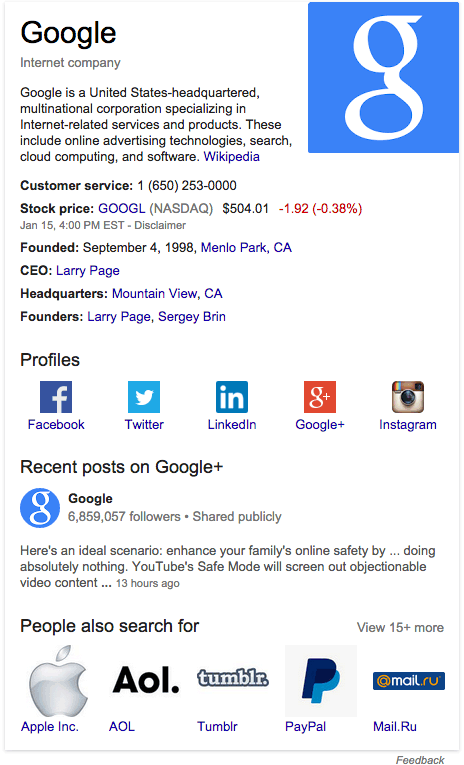 On January 16th Google added the ability to include your social media profile links into the knowledge box of SERPs. To add your social profiles to the knowledge box, you need to publish a new schema markup to a page on your website. The details of how to do this are outlined in the Google developers guide. 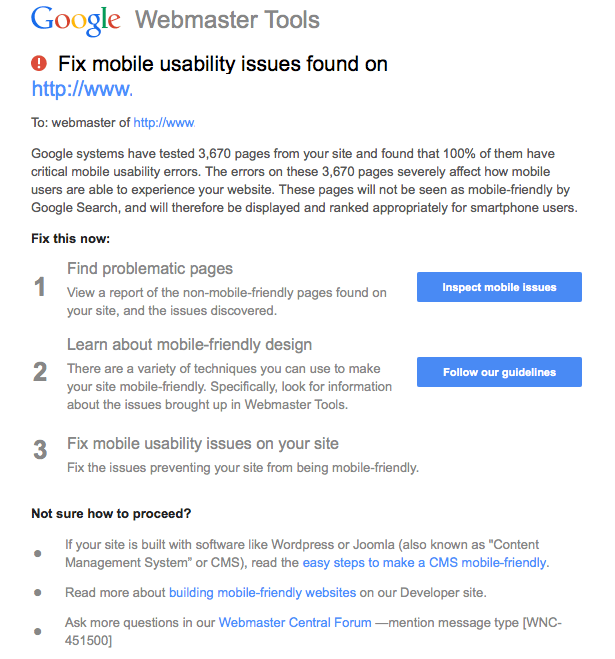 This is the most significant update of the year, Google has sent out warnings to webmasters who have poorly optimized mobile websites. We anticipate that Google is going to start heavily penalizing websites that do not perform as they should on mobile, and we believe that there will be a split between desktop search results pages and mobile search results pages, where your website will not rank correctly on mobile if it is not mobile friendly. On February 5th, Bloomberg reported that Twitter and Google have renewed their deal to display live tweets in Google SERPs, the last time we saw this was back in July 2011 when Twitter pulled out of the deal by not renewing their contract. It’s not yet clear how this will work, there may or may not be certain criteria needed to allow your tweets to show up in SERPs, so we are keeping our collective ear to the ground regarding this. Also on February 5th, multiple sources (Algoroo, Mozcast, Serpmetrics) confirmed that there was significant movement in SERPs. Google has not confirmed anything regarding this update, but there hasn’t been this much movement since the Penguin 3.0 and Pigeon UK release. Early reports suggest that this is largely affecting ecommerce websites. One effect is the inclusion of more misspellings of brand names in search to be attributed to the brand themselves.